No part of this information is a substitute for legal advice. If you have questions or believe you have a legal case under Arkansas Residential Landlord Tenant Law, you should contact an attorney. Stay up to date on Arkansas Landlord Tenant Laws + Save money on tenant screening and other property management needs. Join AAOA today, it’s FREE! Exceptions: These particular security deposits do not apply to landlords that own five or fewer dwelling units, among other conditions pursuant to A.C.A. § 18-16–303. Security Deposit Maximum: Landlords can charge no more than two months’ rent as a security deposit, pursuant to §18-16-304. Deadline for Returning Security Deposit: The landlord must return a tenant’s security deposit with 60 days of the termination of the lease, minus any monies owed for back rent or damages to the unit pursuant to A.C.A. § 18-16-305. Pet Deposits and Additional Fees: No statute given, but each apartment complex may include this type of deposit within the lease agreement as long as it does not exceed two months’ rent, pursuant to A.C.A. § 18-16-304. Move-Out Checklist/Itemized List of Damages and Charges: The landlord must provide the tenant with an itemized list of any damages and charges that were deducted from their security deposit, pursuant to A.C. A. § 18-16-305. Rent Is Due: In most cases, rent is due on the first of the month, unless otherwise stated in the lease agreement, pursuant to A.C.A. § 18-17-401. Rent Grace Period: 5 days pursuant to A.C.A. § 18-17-701(b). Returned Check Fees: The normal returned check fee in Arkansas is $25 per check. It is possible that other fees may be included in this amount, pursuant to A.C.A. § 5-37-307 and A.C.A. § 5-37-304. Tenant Allowed to Withhold Rent for Failure to Provide Essential Services (Electric, Heat, Water, etc. ): No statute available. It is advisable, however, that tenants should continue to pay their rent on time and in full. If this type of situation does arise, tenants are urged to contact local housing authorities and health officials in an attempt to remedy the situation. Landlord Allowed to Recover Court and Attorney Fees: Yes pursuant to A.C.A. § 18-17-701(2) and A.C.A. § 18-17-704. Notice to Terminate Tenancy – Fixed End Date Lease: No notice is necessary as the lease will end on the date determined within the agreement. Notice to Terminate Tenancy – Month to Month Lease: Both the landlord and tenant must give one rental period’s notice prior to the termination date. In a month to month lease, 30 days written notice must be given, pursuant to A.C.A. § 18-17-704. Notice to Terminate Tenancy – Week to Week Lease: Both the landlord and tenant must give one rental period’s notice prior to the termination date. In a week to week lease, 7 days written notice must be given, pursuant to A.C.A. § 18-17-704. Termination for Nonpayment: 5 days unconditional quit notice, then must wait the full 5 days before starting the eviction process pursuant to A.C.A. § 18-17-701, A.C.A. § 18-16-101 and A.C.A. § 18-17-901(b). Termination for Lease Violation: If the landlord chooses to use the “unlawful detainer” method of eviction, they only need to provide three days written notice. This is considered a civil eviction. If the tenant does not leave, the landlord can file suit against them and force them to appear in court, pursuant to A.C.A. §18-60-304. Entry Allowed with Notice for Maintenance and Repairs (non-emergency): Yes, in accordance with A.C.A. § 18-17-602. Entry Allowed with Notice for Showings: Yes, in accordance with A.C.A. § 18-17-602. Most lease agreements will include a written Notice for Showings as a courtesy to tenants. Notice of Date/Time of Move-Out Inspection: No statute available, however, this is often included within the rental agreement as a courtesy to the tenant. Notice of Extended Absence: No statute available. Individual lease agreements may include this entry to allow landlords to perform periodic inspections in an attempt to keep financial loss to a minimum if there is ever a leak or any other type of damage caused by other rental units (water leaks, etc.) or natural disasters. Entry Allowed During Tenant’s Extended Absence: No statute available. Individual lease agreements may include this type of entry to protect the landlords’ financial interest in the property and to prevent damage from occurring in the tenant’s absence. Lockouts Allowed: No statute, but lockouts are never permitted. Consequences for Self-Help Eviction: Damages are considered by the court on an individual, case by case basis. Abandonment of Personal Property: When a lease is terminated, either voluntarily or involuntarily, any personal property that is abandoned by the tenant can be disposed of by the landlord without fear of retaliation, pursuant to A.C.A. § 18-16-108. Compliance: The apartment complex as well as all units contained therein must be maintained pursuant to any and all housing and buildings codes in an attempt to maintain a safe and healthy environment for residents. Cleanliness: All common areas such as hallways, entryways and courtyards must be kept free of trash and debris. Utilities: All utilities must be maintained and appliances kept in good repair according to local building and housing codes. Repairs: Repairs are to be made in a timely manner once they have been reported by the tenant or noticed during regularly timed inspection. Quiet Enjoyment: Conduct themselves in a respectful fashion and not hinder their neighbors from quiet enjoyment of their residences. Proof of Status: The landlord has the right to verify claim of Domestic Violence status pursuant to A.C.A. § 18-16-112(d). Protection from Termination: Landlords cannot terminate a tenancy, fail to renew a lease agreement or refuse to enter into a rental agreement with a victim of domestic violence, pursuant to A.C.A. § 18-16-112(b). Locks: The landlord must change or re-key the locks at the tenant’s expense, if requested, in accordance with A.C.A. § 18-16-112(b). Retaliation: Landlords cannot retaliate against an occupant of any dwelling that has been determined to have lead paint or other hazards as it pertains to eviction or the threat of an eviction because of the presence of these hazards, pursuant to A.C.A. § 20-27-608. Lead Disclosure: Landlords must disclose all possible lead hazards to their tenants. As part of the lease agreement, landlords must also include an information pamphlet on the hazards of lead paint and other lead based materials. Eviction Cases Allowed in Small Claims: No. Small claims court does not have jurisdiction over evictions. Evictions are covered under circuit court. Written Contracts: 5 years in accordance with A.C.A. § 16-56-111.
Business License: No statewide statute exists, but cities and counties may have specific regulations and requirements for landlords. Call the local governing authority for details. Individuals that own less than five rentals may be excluded from this. However, certain areas may require the landlord to report the number of properties to public housing and health departments. Each area is different when it comes to specific building codes. Landlords who are uncertain as to whether or not they need to contact housing authorities should do so in a timely fashion. Are you a landlord looking for Arkansas Tenant Screening Background Checks. AAOA provides full and extensive background checks for landlords and their prospective tenants. Visit Arkansas Tenant Screening Background Checks to screen your tenant to screen your tenant. Need a tenant screening background check in a state other than Arkansas? AAOA’s tenant screening reports are available nationwide. See our tenant screening background checks page to view other states or start ordering a tenant screening background check now! All states require a variety of forms to rent an apartment to a tenant and Arkansas is no exception. Check out American Apartment Owners Association’s Arkansas Landlord Forms now. 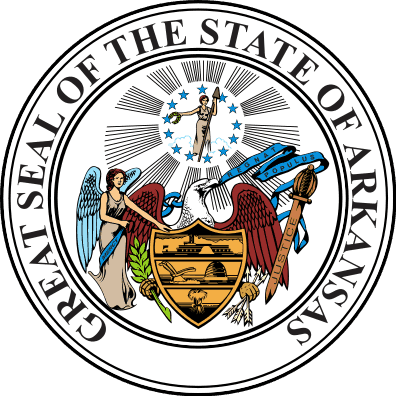 Looking for landlord tenant laws outside of Arkansas? The American Apartment Owners Association offers helpful landlord tenant laws for all 50 states. Click on any of the states listed below and go directly to its landlord tenant law page. To visit the homepage of landlord tenant laws, click here.